Listen to "All the Flowers Are Dying" on your iOS and Android device. 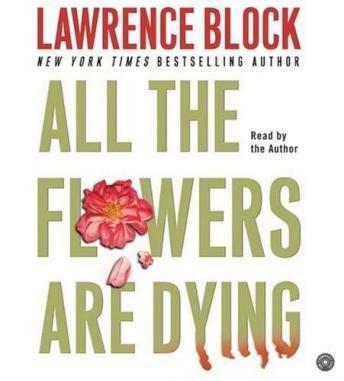 In his sixteenth Matthew Scudder novel, All the Flowers Are Dying, New York Times bestselling author Lawrence Block takes the series to a new level of suspense and a new depth of characterization. Block puts Scudder—and the reader—at the very edge of the abyss. A man in a Virginia prison awaits execution for three hideous murders he swears—in the face of irrefutable evidence—he did not commit. A psychologist who claims to believe the convict spends hours with the man in his death row cell, and ultimately watches in the gallery as the lethal injection is administered. His work completed, the psychologist heads back to New York City to attend to unfinished business. Meanwhile, Scudder agrees to investigate the suspicious on-line lover of an acquaintance. It seems simple enough. At first. But when people start dying and the victims are increasingly closer to home, it becomes clear that a vicious killer is at work. And the final targets may be Matt and Elaine Scudder. Lawrence Block is one scary dude. i hope he sticks to writing and doesn't decide to turn to a life of crime! the plot twists and turns in this book are intricate and diabolically clever. "AB" is his most terrifyingly evil character yet. switching back and forth between the two POVs, those of AB and of Scudder, is a masterfully used approach. i found myself leaving for work a little early in the morning, so i would have a few extra minutes to listen after i got to my office. Block does his own narration, and his voice is not one i'd have expected from him; at first it put me off a bit, but before long the story transcended any distractions. Block's writing has grown increasingly sinister and violent, and this book is no exception and is not for the faint of heart. but damn, it's good!